You have to shut out the external noise--the articles about six-figure advances, the dire news about book sales plummeting, the whining rants by other writers about marketing, even the criticism from your own critique group--so you can hear your own voice. Easier said than done, right? I consider myself an old workhorse of a writer. I've survived rejections aplenty, and I've trashed more manuscripts than I can count because they didn't go anywhere. Yet, recently the Writing Gods handed me two new challenges that felt insurmountable: 1) my beloved editor is taking a leave from the publishing company due to personal issues, and 2) the project swimming in my brain is something completely different from anything I've ever written. I tried starting the new book. Over and over again, I struggled to put words on the page. But I stuttered, limped, wheezed, and finally came to a complete, crippled halt. I could not write this book. It was too hard. And who would I show it to, anyway, especially when my agent was advising me to write the entire manuscript before submitting it? "You want to see where it goes," she urged, "because it's so different from what you've done before." Good advice. Yet, I couldn't follow it. 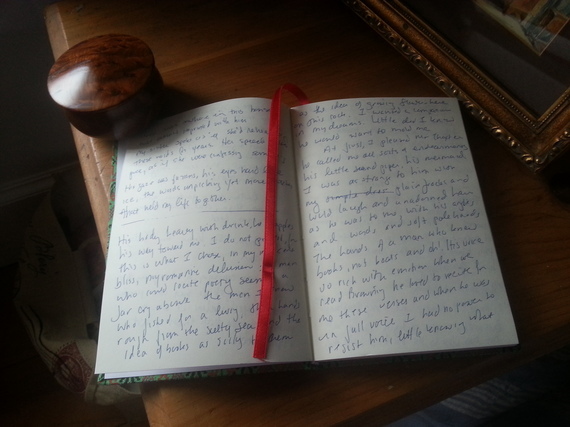 I had lost my writing mojo. Every time I put my hands on the keyboard, my fingers refused to move. I was in despair about my editor and convinced I couldn't pull off this book. Whenever other authors have confided in me about their own writing blocks or crises, I've given all sorts of advice: Attend a writing conference for inspiration! Go outside and do some digging in your garden! Start the book from the middle instead of the beginning! Try a completely different point of view! All of these things have worked for me in the past, but this time? Nothing. Nada. Zilch. All I could do was nonfiction--I'm immersed in a ghost writing project at the moment--and lie awake at night, thinking, "That's it. My career as a fiction writer is over. I can't write this book." And then I received a surprise package in the mail: a gorgeous journal from my stepson, Drew, who had picked it up in Thailand during his travels. It's my favorite color, a deep teal, and it has a silver elephant on the cover. Other women have a thing for roosters or kittens, but me? Give me elephants, baby. I've had a thing for them every since I rode one in Nepal. Coincidentally, my son Blaise showed me his own journal, where he has started a new novel. "The thing about writing fiction in a journal is that it feels safe," he explained. "Nobody is going to see it but you, so you can play around." And that's when it hit me: I was terrified of putting words into my laptop because somehow that felt official. If I started the novel there, it would go to my agent, and then on to editors, and people would judge it. It might be rejected. 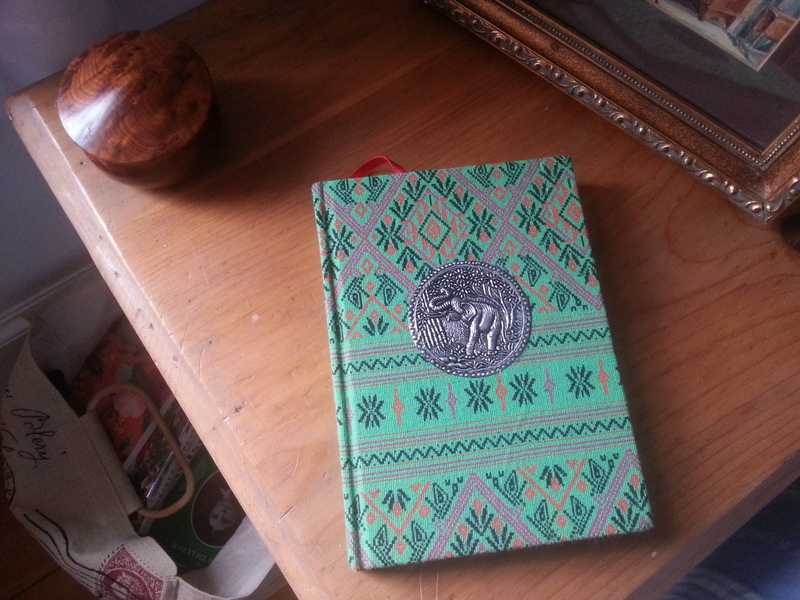 Writing it in this gorgeous cloth journal, on the other hand, with an elephant as my lucky stalwart companion, would remind me of everything that matters most: my loving kids and the joy I feel when I create a story. has forced me to slow down, both mentally and physically. I spend a lot of time drinking tea and looking out the window. Coincidentally, my new novel is only scribbles at the moment, but you know what? Some of those scribbles aren't bad. I think I have begun. I have made that leap of faith again.